Does Garlic Help Raise Platelet Count? Heparin, an injectable medication that inhibits blood clotting, is used to treat people with an increased risk of developing blood clots. People undergoing certain surgeries, people with heart problems that could lead to clotting within the heart and others at risk of developing clots take heparin. Heparin overdose can cause uncontrolled hemorrhage. Vitamin K, a fat-soluble vitamin that helps blood clot, is not given to treat heparin overdose because the two drugs differ in their effect on the blood-clotting process. Blood clots form through a complex chain of events. Platelets, small circulating blood cells, attach to a damaged site in a blood vessel. As platelets stick to the walls of a blood vessel, they release a substance that attracts more platelets to the site. Several factors in the blood activate prothrombin, which is then converted to thrombin. Thrombin changes fibrinogen, another clotting factor, to fibrin. Fibrin binds the platelets together in a mesh that covers the damaged area, stopping bleeding. Heparin works by blocking certain reactions in the blood necessary for blood clotting. Although it’s sometimes called a blood thinner, heparin doesn’t actually thin the blood. Instead, it acts as an anticoagulant, preventing clots from forming. Through a series of actions, heparin prevents prothrombin from forming thrombin when given in small amounts. Once a clot forms, large amounts of heparin also prevent the conversion of fibrinogen to fibrin that prevents formation of a stable clot. Vitamin K plays a vital role in activation of the clotting cascade, the mechanism by which clots form. Vitamin K helps activate the several proteins that make up clotting factors. Clotting factors are synthesized in the liver. Clotting factors dependent on vitamin K include factor II, which is prothrombin, factor VII, factor IX and factor X. In vitamin K deficiency, clotting factor levels fall and bleeding can occur. If a person takes too much heparin, uncontrolled bleeding can occur because heparin ultimately prevents fibrin formation as well as interfering with formation of prothrombin and other clotting factors. Vitamin K doesn’t treat heparin overdose because vitamin K helps synthesize the proteins that activate the production of clotting factors. Heparin interferes with clot formation at a much later stage in the process. Activating more proteins to produce more clotting factor can’t counteract the anticoagulant affect caused by heparin overdose, according to RxMed. 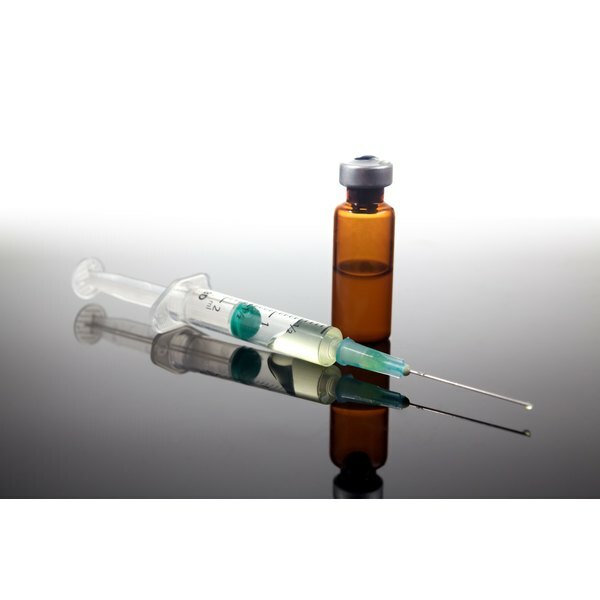 Protamine sulfate to neutralize the effects of heparin is the drug of choice for heparin overdose, the website Drugs states.